Stephen King faced over two dozen rejections before he was able to sell his first novel, Carrie, to a publisher. Frank Herbert faced the same problem with Dune. But those were the ancient days of the 20th century when using publishers was the easiest way to get you book in readers hands. 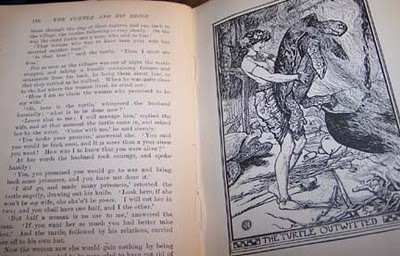 There was self-publishing–Beatrice Potter self-published 250 copies of The Tale of Peter Rabbit—however, true success would only come through major publishing companies. Thankfully, self-publishing in the 21st century is a little different. Today, self publishing is ridiculously easy. Through the use of Print-on-Demand (POD) websites like Lulu.com and Createspace.com, anyone can self publish a book. The process is not limited to novels; you can use Blurb.com to create photography or picture books. If your interest is less stiff book and more floppy pamphlet, use Magcloud to create your own magazine. The greatest feature that POD offers is affordability. These companies don’t charge money to upload or store the book’s files, they only ask from money when they print a book. The neat thing about that is that it’s possible to print one book at a time. This means a writer doesn’t have to print 1000 books at a time and store them until they’re sold. Each copy is printed when it’s bought. And these services aren’t just for amateurs; established writers are also using them. Guys like Warren Ellis, Cory Doctorow and Wil Wheaton (yeah, the guy from Stand by Me and Star Trek: TNG) are dipping their toes into the POD pool to see what all the fuss is about. These technological innovations make the gap between author and reader smaller and smaller. Keep in mind that it’s still a relatively new service, so all the bugs haven’t been worked out. And just selling a book on the sites won’t make you an overnight phenomenon. But if you just want a copy of your novel to go on your bookshelf, this is a great thing. This entry was posted in Do It Yourself and tagged diy, do it yourself, how to, writing on March 23, 2011 by Jim McKenzie Smith. 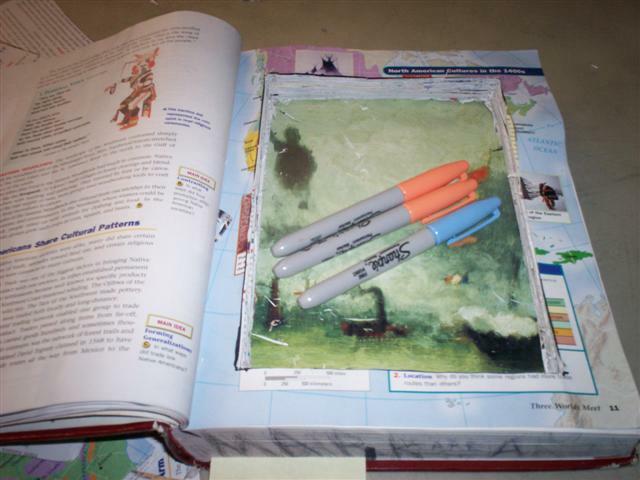 DIY Secret Compartment in a Book! Often, I’ll be watching a mystery movie where someone will pull out a seemingly normal book and open it to reveal a secret compartment! And each time I see that I say to myself, “Wow, I gotta get one of those.” But in the spirit of our do-it-yourself category on this here blog, I decided to make my own and chronicle the adventure. So without any idea how to complete my task, I gathered my supplies and began–desperately hoping my ignorance would not be a problem. I salvaged a book from the trash. 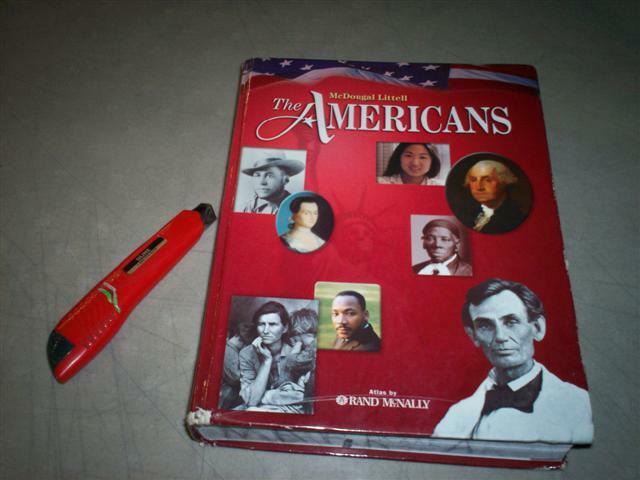 It was a history book filled with knowledge that I would soon destroy. And I found a box cutter, my implement of destruction—and creation! I opened the book to page forty and drew a square. 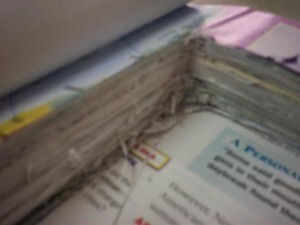 Then I started gutting the book. My box cutter was sharp and cut through the pages easily. I sliced and sliced and sliced! 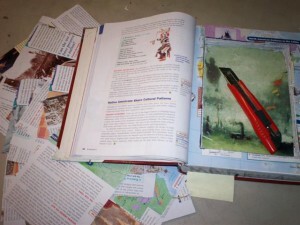 I was a book destroying, secret compartment creating machine! But then it got harder. Suddenly, I couldn’t cut clean corners anymore. And I didn’t know how to fix it! My ignorance was a problem!! NOOOOO!!! This entry was posted in Do It Yourself and tagged diy, do it yourself on November 8, 2010 by Jim McKenzie Smith. We all love books, but creating a nice affordable storage space for them can be a challenge, especially with children in mind. If you have young children you have probably discovered that they love to pull them off the shelf and look at the covers until they find the one they want, without putting them back! Or maybe you would like to show off that First Editions Oz Book Collection of yours? We all know a good looking quality bookshelf will cost you A LOT of money. So I was curious to see what others have done in the DIY bookshelves world to solve this problem. “Fawn” over at frugalhomedesigns.com has created an inexpensive and elegant book storage solution for her toddlers. This face-out book shelf makes it easy for people to see the covers, and easier for children to put them back. A quick trip to Home Depot, some gluing, nailing, and painting and voila! You have wall mounted book display shelves that look great for far less than buying them ready made. Another great idea is the Hanging Book Display by Megan featured on ohdeedoh.com. She has done a great job of listing all the time, materials, and money you will need for this DIY book display. She estimates about 1-4 hours, depending on how handy you are with a sewing machine. These popular shelves cost less to make than you might think. Not only do they look great, (they’re “floating” on the wall!) they are also simple to make. This tutorial at The Family Handyman provides one of the more inexpensive bookshelves out there. If you don’t have old hollow doors lying around, maybe your town has a re-use/renew building supply center, like The ReBuilding Center here in Portland? Otherwise, I’m sure you weren’t in need of that closet door anyway. Another great variation is the Invisible Book Shelf – it’s literally a “floating” book, that’s a shelf, that holds other books. How cool is that? It provides a great optical illusion that will be sure to get attention and looks of unbridled confusion from your visitors. All of these great how-to’s lay out all the steps and materials along with helpful pictures along the way. 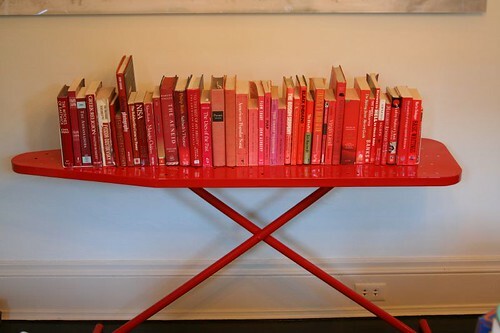 Have fun with these DIY bookshelves and remember to wear your safety glasses! This entry was posted in Do It Yourself, Saving Money and tagged diy, do it yourself, how to on July 8, 2010 by Jim McKenzie Smith.